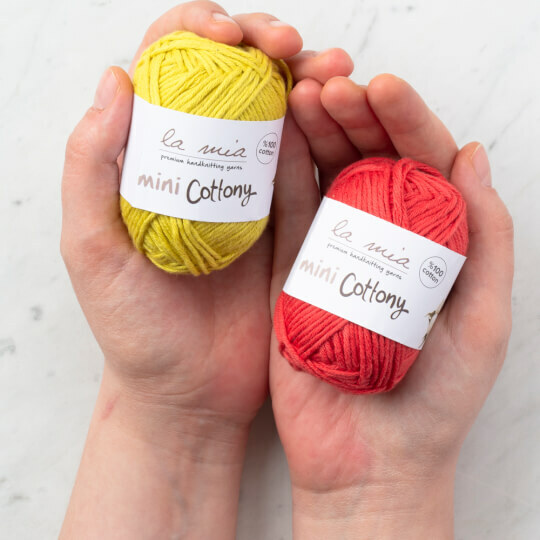 From one of our loveable yarn, La Mia Cottony here is La Mia Mini Cottony. 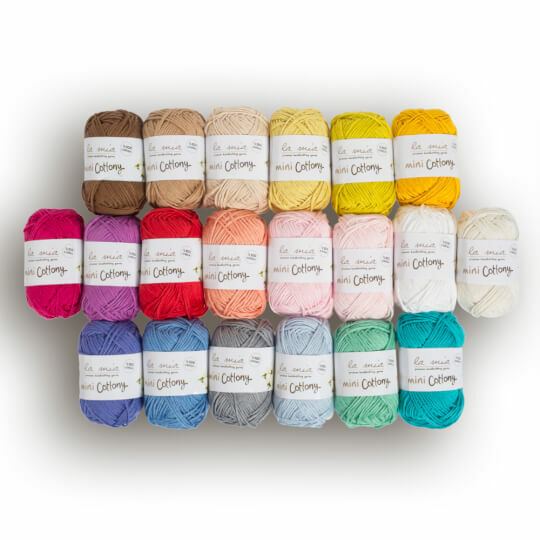 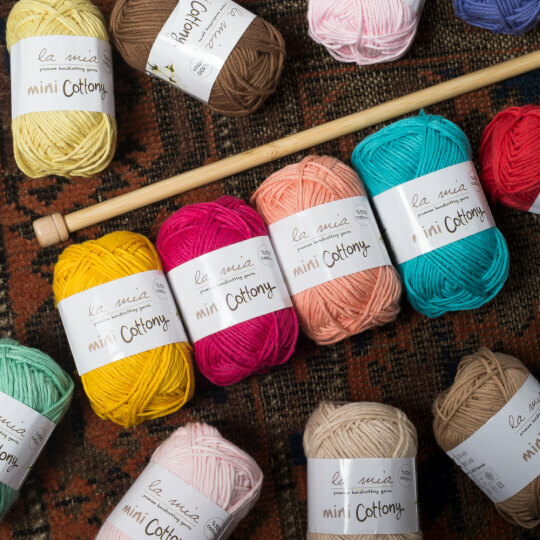 One package included 20 different pastel and lively colors of 25g La Mia Cottony. 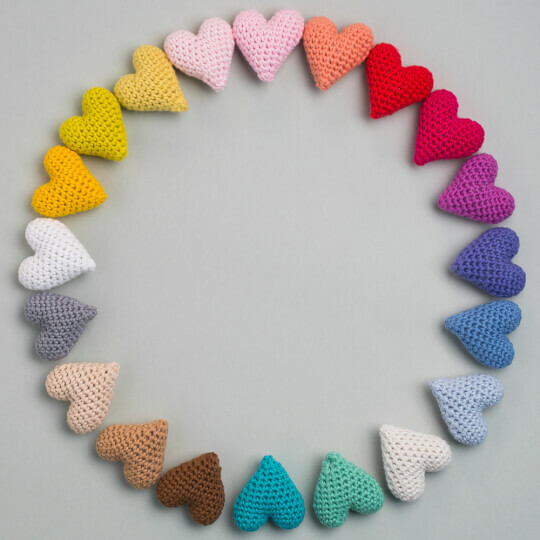 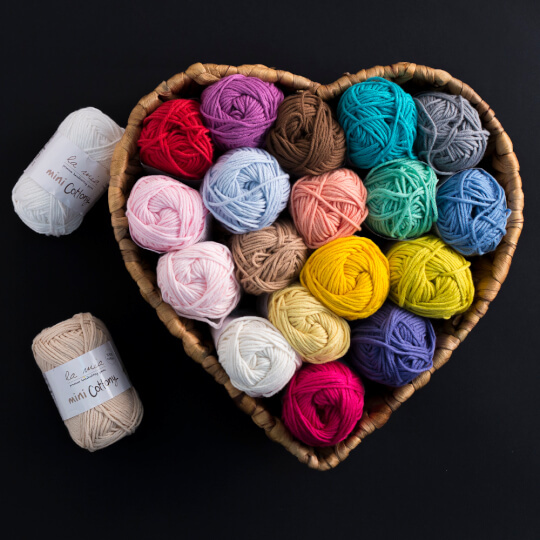 Great for multi-color projects like amigurumi, accessories and fair-isle works.